Looking for a sparkly stunner as the finishing touch to a great outfit? 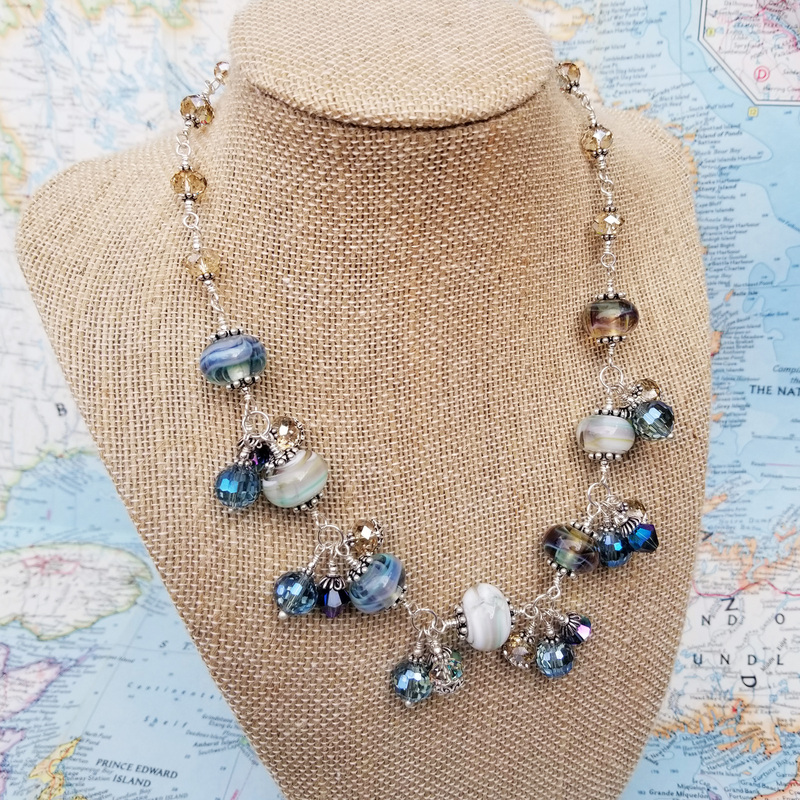 This Harvest lampwork and crystal statement necklace will do the trick! 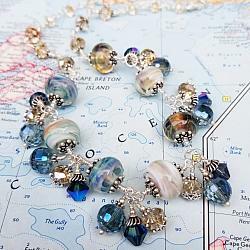 Gorgeous handmade lampwork beads combined with clusters of Swarovski crystal and Czech glass dangles. Harvest measures 17"-19" with a hand-forged sterling hook and chain clasp and is designed to be worn fairly close to the neck. It's finished my signature Happy Shack charm. All silver is sterling. See more photos in my Etsy shop here.